The signatures in this mass market paperback (Weapons of Math Destruction, Cathy O’Neil, a great read, BTW) continue to group together, even though the book is perfect bound, and the spinefolds are cut. Paper memory. Not enough pressing or pressure during or after folding. We could reconstruct the imposition based on this visual evidence, even though there are no conjugate leaves or other signature markings. Whatever glue was used on the spine (PUR?) grips the newsprint-like leaves solidly, with no throw-up and lots of drape, making the book easy to hold and read. I’m embarrassed to admit this, but the tactile qualities are very satisfying in this book, at least in the short term, better than many high-end hand bound books. It can be downloaded at https://works.bepress.com/shuttner/8/. Thanks Sid! I think it is important to document the ending of the paper based codex form. So, what is the definition of the codex “form” we are using. Why should an adhesive bound book not be a codex. Etherington defines as http://cool.conservation-us.org/don/dt/dt0757.html, and I know there are other definitions out there as well. While I am not ready to define the codex, I certainly do consider this mass market paperback to be one. 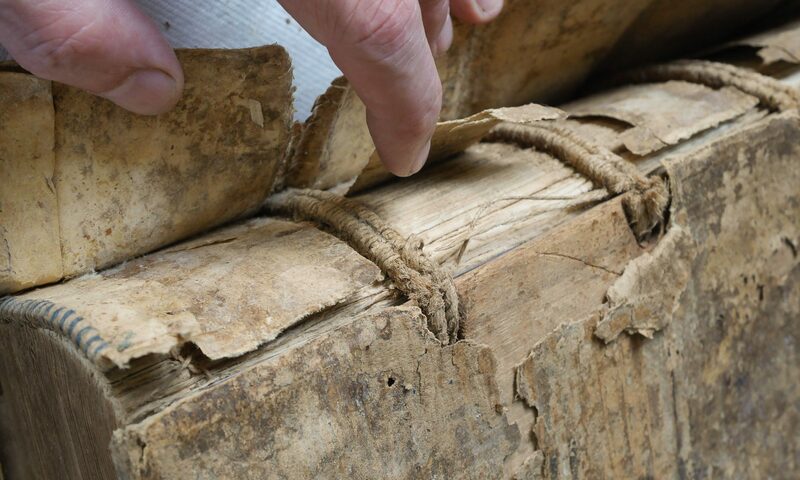 In my comment, I tried to point out that the book structures at end of the codex (as a common carrier of textually based information), as we are experiencing, can be important. But I’m not saying I am the last binder preserving this dying art! Agreed on a paperback being a codex. Btw, that book terrified me as it described by current working environment down to the last bits and bytes. But, is it (the paperback) the last manifestation of the codex form. Good point, and as the blurb on the book says, it shows the dark side of big data. Next PostNext Is Restoration Dying?